Hello! I’m Alice, an incoming senior and a biology major/psychology minor. This summer, I am doing research at the Mostov lab in UCSF in San Francisco, CA. Walking into the lab was one of the most intimidating, yet exciting parts of my summer. Lab supplies are stacked to the ceilings, ordered in a way I do not understand. Everyone is constantly doing something– sterilizing equipment, micropipetting, discussing researchers who have stolen their ideas. Noticing that I was one of the only interns, I was scared of making mistakes, but I was looking forward to learning more about a disease that has impacted my family. 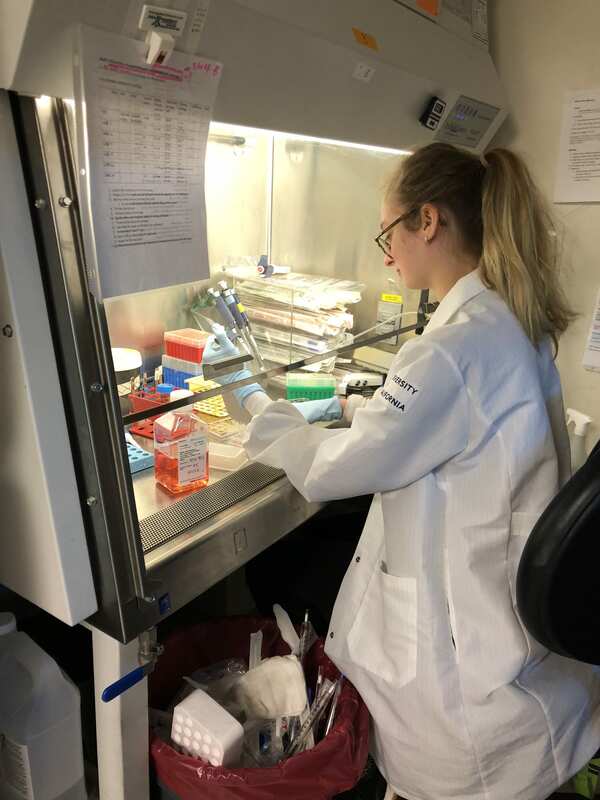 This summer, I have been working with a start-up in the Mostov lab, researching the mechanisms behind tumor cell resistance to targeted cancer therapies. Therapy resistance is one of the largest problems researchers all over the world are trying to understand. Targeted therapies are most commonly given to patients with metastatic cancer to extend their progression free survival by months or years. However, all patients develop resistance to these drugs and relapse over time. Usually, the relapsing cancer is even worse than the initial one that was being treated. Understanding the reasons and mechanisms behind this phenomenon may improve cancer therapies immensely, especially for the patients whose only options are targeted therapies. The challenge encountered by most researchers in the fields of cancer research and drug discovery is that most resistance mechanisms are multifactorial, multigenic, and unknown. What is needed to overcome this challenge are new technologies that allow for rapid identification of resistance to targeted therapy drugs. Creating this new technology is one of the research team’s objectives. To develop this new technology, cell clones emulating adaptive resistance to targeted therapies must be created and maintained, which is my part of the project. Creating resistant clones opens up many possible directions for cancer research. The direction we are going in is the identification of adaptive resistance among specific cell lines and gene sequencing. By rapidly discovering resistance mechanisms, novel cancer therapies that combat resistance may be developed. All days in the lab start off the same way. I walk into the tissue culture room and turn off the UV in the hood, but I never know what the rest of the day will bring. One day, I may just be changing media, and another day, I may be freezing cells for a cell library, counting cells, and doing a cell viability assay. On my first day, one of my first assignments was to do a trypsinization, a procedure used to release cells from their dishes. With no prior knowledge of how to do a trypsinization, I was out of my comfort zone. Because the startup’s success depends on our results, I was scared to make a wrong move. No matter how hard I tried to succeed, I always made mistakes, but I made sure that I also learned from them. As I spent more time in the lab, I became faster and more accurate. 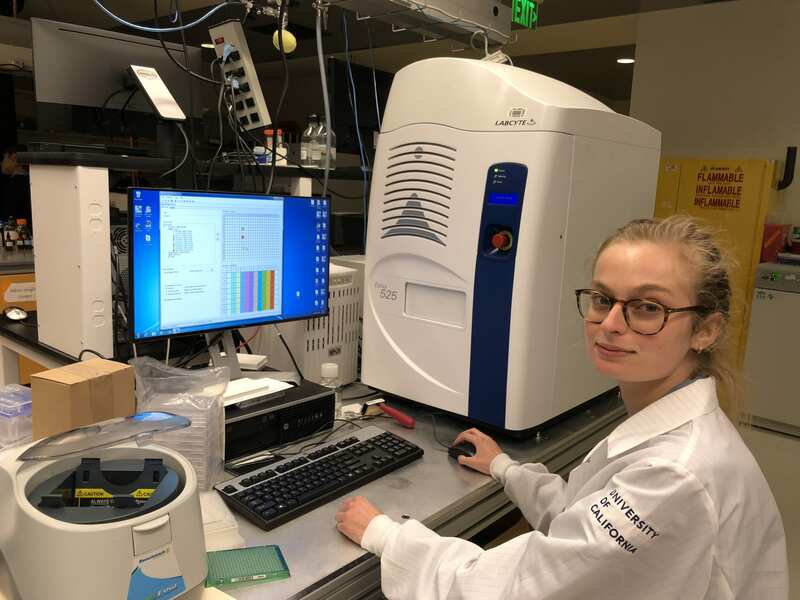 With my growing confidence and improvements in my laboratory skills, I am now able to perform tasks like trypsinization and cell viability assays independently. Not only am I helping the team run various experiments and finish daily tasks needed for maintaining the cell lines in half the amount of time, but I am also involved in the epidemiological research of some of the most aggressive cancers and their targeted therapies. By researching incidence and mortality rates, average stages at diagnosis, and progression free survival with a targeted therapy and control, cancer research can be directed to the cancers that are the most difficult to treat. I have two more months left and I am excited to see what else I will learn.